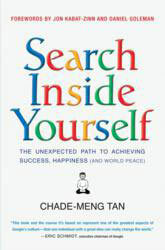 In Search Inside Yourself, Chade-Meng Tan, one of Google’s earliest engineers and personal growth pioneer, offers a proven method for enhancing mindfulness and emotional intelligence in life and work. Meng’s job is to teach Google’s best and brightest how to apply mindfulness techniques in the office and beyond; now, readers everywhere can get insider access to one of the most sought after classes in the country, a course in health, happiness and creativity that is improving the livelihood and productivity of those responsible for one of the most successful businesses in the world. With forewords by Daniel Goleman, author of the international bestseller Emotional Intelligence, and Jon Kabat-Zinn, renowned mindfulness expert and author of Coming To Our Senses, Meng’s Search Inside Yourself is an invaluable guide to achieving success. Search Inside Yourself, the popular course taught at Google, was created to elevate the work and lives of the best and brightest people at one of the most innovative, successful, and profitable businesses in the world. Deeply rooted in science, the course was designed for Googlers as a means to reduce stress, increase well-being, heighten focus and creativity, become more optimistic and resilient, build fulfilling relationships, and ultimately become happier and more profitable in their work and their lives. While the skills learned via Search Inside Yourself are designed to help one to “optimize thyself” and gain an extra edge, it may be surprising that the core concepts of the program are mindfulness and emotional intelligence. Created in collaboration with a Zen Master, a CEO, a Stanford University scientist, and bestselling author Daniel Goleman (the guy who literally wrote the book on emotional intelligence), and written by Chade-Meng Tan, one of Google’s earliest engineers, “Search Inside Yourself: The Unexpected Path to Achieving Success, Happiness (and World Peace)”, distills mindfulness and emotional intelligence in a way even a skeptical, compulsively pragmatic, engineering-oriented brain like Meng’s can process, breaking them down into a set of practical tools and skills that can be adopted by anyone, at any career or experience level. On taking this concept to individuals and businesses who might, at first glance, ignore a book with the words “mindfulness,” “meditation,” “emotional intelligence” or “world peace” in it, Meng writes: “for the benefits of mindfulness and emotional intelligence to become widely accessible, they cannot be just the domain of bald people in funny robes living in mountains, or small groups of new age folks living in San Francisco. 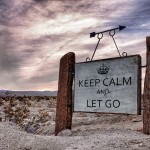 Meditation needs to become ‘real’. It needs to align with the lives and interests of real people.” In “Search Inside Yourself,” he addresses questions that may arise from skeptics with a “traditional” business mindset, such as: How can one to find joy while succeeding at work when under stress and pressure? How does compassion impact the profitability of a business? 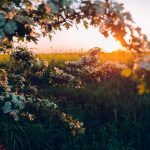 How can meditative practices benefit people’s careers and business bottom lines? 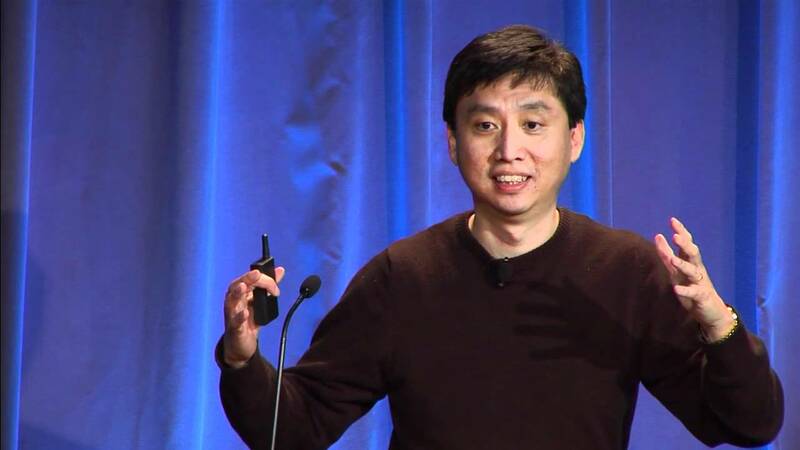 Chade-Meng Tan (Meng) was one of Google’s earliest engineers. Among many other things, he helped build Google’s first mobile search service, and headed the team that kept a vigilant eye on Google’s search quality. After a successful eight-year stint in Engineering and two years as GoogleEDU’s Head of Personal Growth, he now serves with Google’s Talent Team. His current job title is Jolly Good Fellow (which nobody can deny) and his job description is “Enlighten minds, open hearts, create world peace”. One of his main projects is Search Inside Yourself, a mindfulness-based emotional intelligence course taught at Google at Google since 2007 on which his first book is based. Meng hopes his book and the course will eventually contribute to world peace in a meaningful way. As Google’s unofficial greeter of world leaders and leading influencers, Meng has two walls of photographs at Google which can viewed at mengswall.com. Outside of Google, Meng is the Founder and President of the Tan Teo Charitable Foundation, a small foundation dedicated to promoting Peace, Liberty and Enlightenment in the world. He is a Founding Patron of Stanford University’s Center for Compassion and Altruism Research and Education (CCARE). He is also a Founding Patron of the World Peace Festival, and adviser to a number of technology start-ups. He blogs at http://www.mengstupiditis.com. 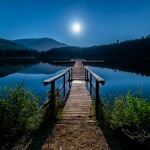 Read the original article at PRWeb.